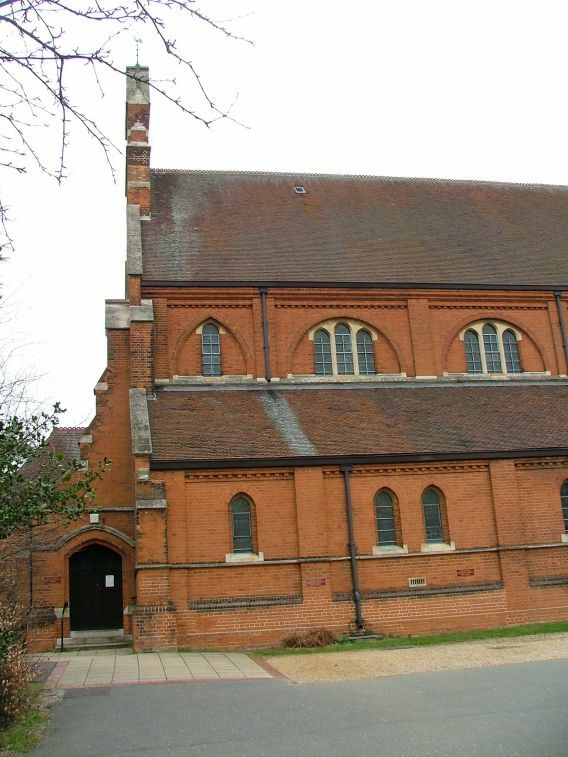 This fine late-Victorian building would have been the most prominent church in Ipswich if it had ever been finished. It is still fairly prominent, visible from a wide area, and its plateau-top site means it appears as a surprise on the horizon from many distant parts of Ipswich. 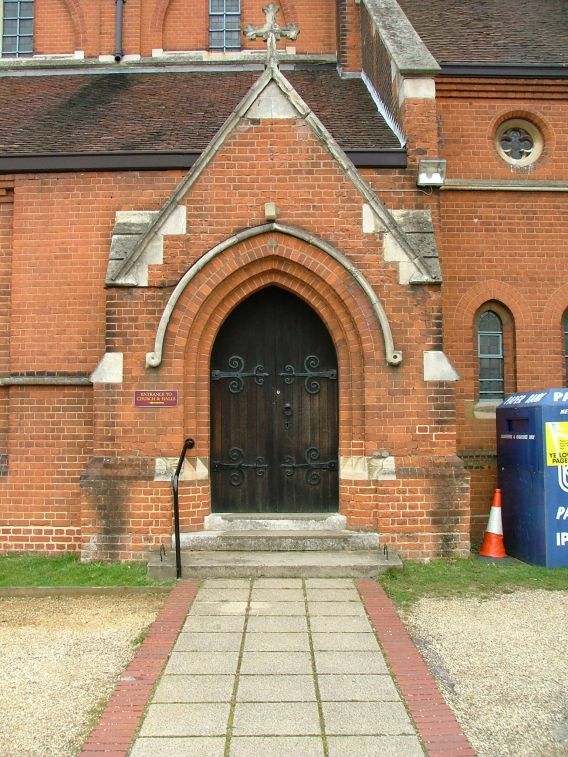 It replaced a small, simple yellow brick building of the 1870s, which served as a parish hall for many years. 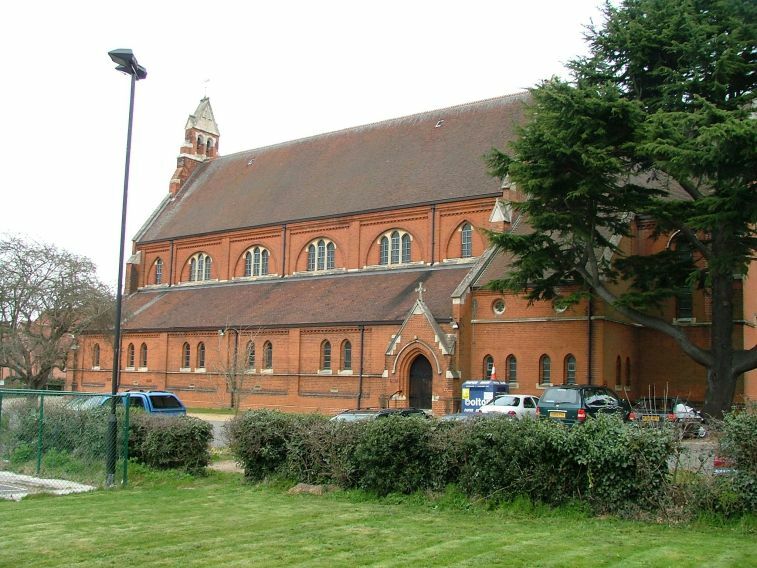 The architect was Sir Arthur Blomfield, and his original plan included a great spire at the west end, similar to his other Suffolk church, St John the Baptist at Felixstowe, finished 5 years earlier. This would have made the church a considerable landmark, and a significant part of the townscape. Why was the tower not built? Fashions in both church building and spending money were changing fast, and the tower at St John's almost exactly contemporary neighbour, St Bartholomew, was also never built. A medieval church dedicated to St John the Baptist once stood in the parish, although its site is now completely lost to us. It was probably in Woodbridge Road. 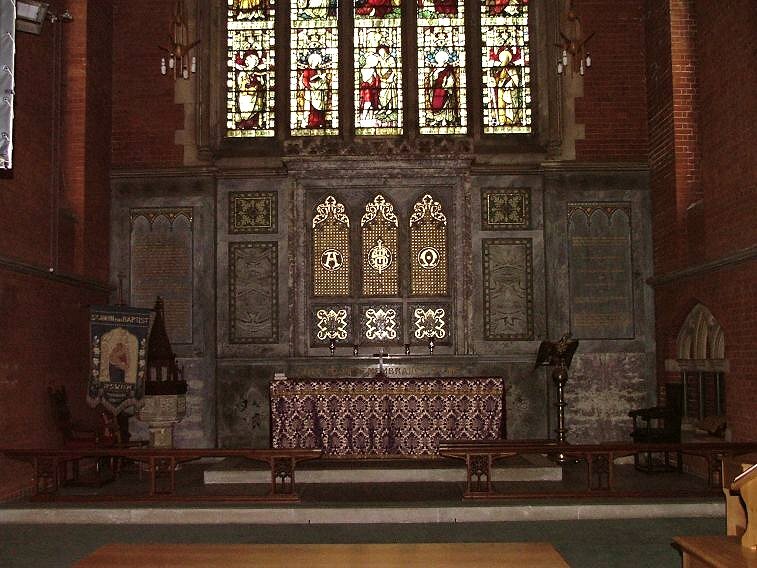 But it is nice that, as at St Michael and at All Saints, the dedication was revived. You enter the church at the west end, away from the busy road. To the west of here, a fine set of modern offices and rooms have been built, and head off from the entrance, linked to the body of the church. 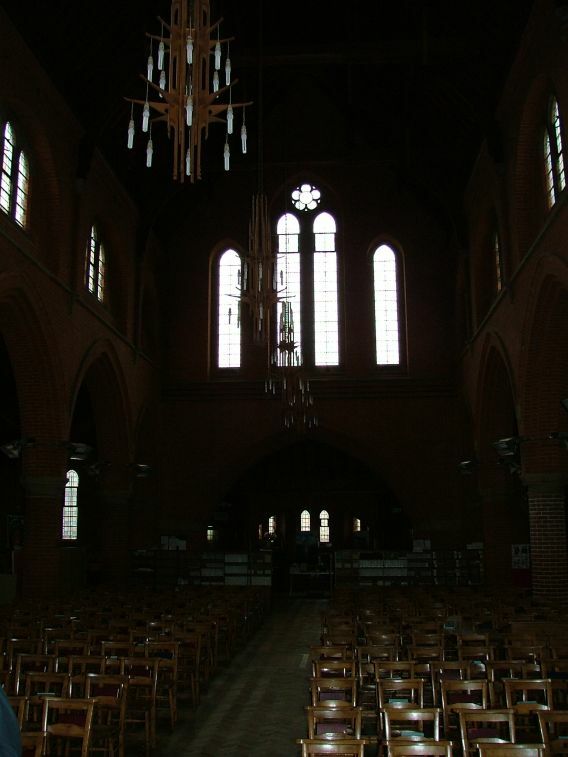 You step through double doors into the nave, and the vastness of the space immediately swallows all sound. 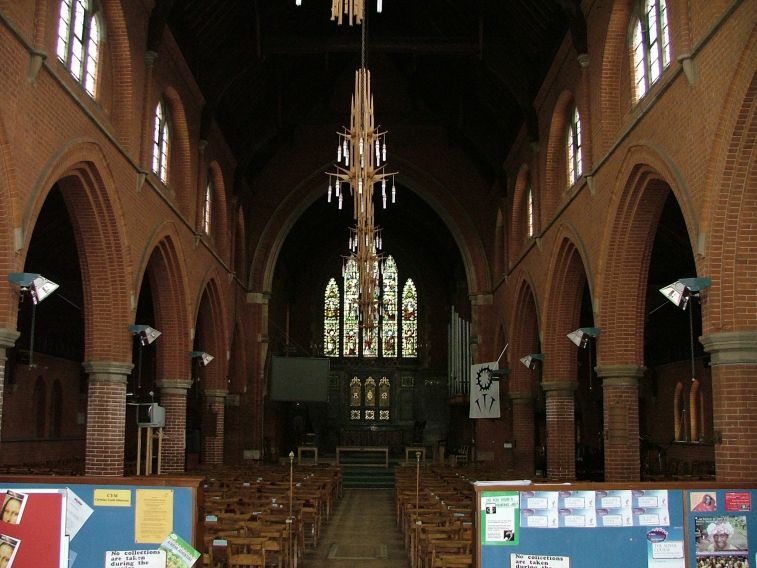 Although this church has a lively, evangelical community, the 19th century interior has been preserved very well, and is strikingly like that of Bloomfield's larger Felixstowe creation. The big difference is that the windows here are filled with clear glass, and perhaps this is just as well, because even on a bright day it can be quite dark inside. 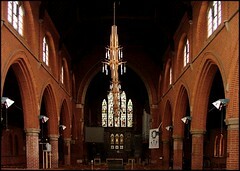 Brick columns support brick arcades, with low aisles beyond, guiding the eye to the great chancel arch, and the open sanctuary. 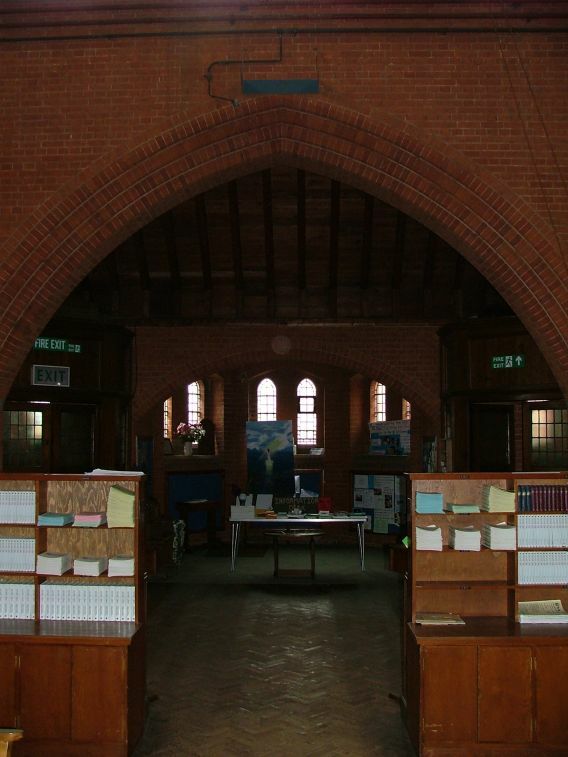 There is a fine clerestory, and although it can be gloomy there is not the effect of Betjeman's red brick twilight here as there is at Felixstowe. 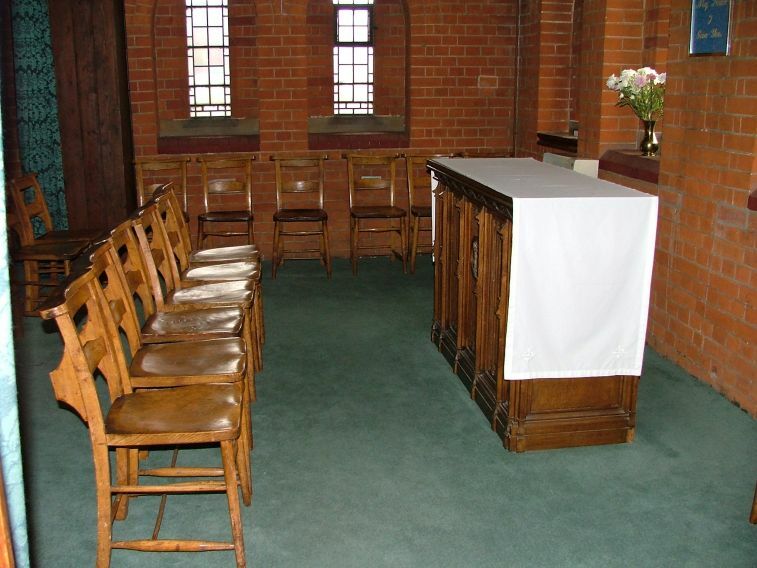 The cleared sanctuary is very successful, since the clutter of its equivalent at the Felixstowe church is the weakest feature of that building. 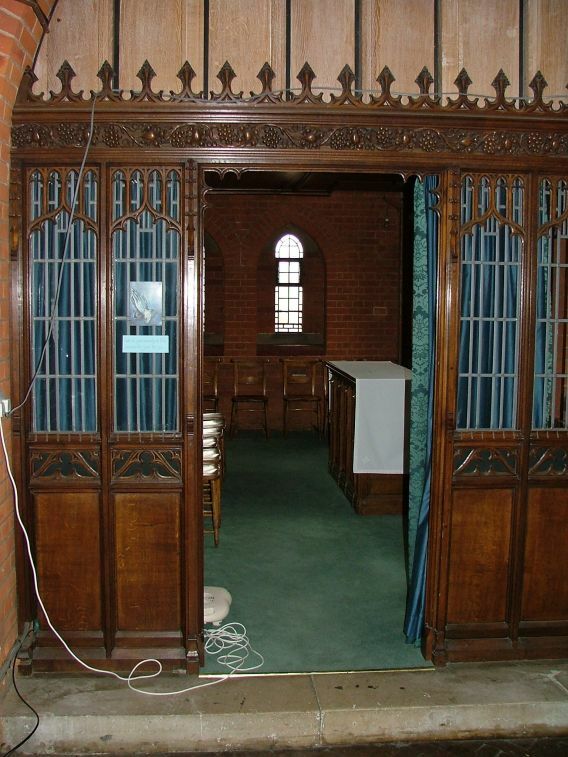 As at Felixstowe, there is a Blessed Sacrament chapel to the south of the chancel, although as far as I could tell this is now used for small services. 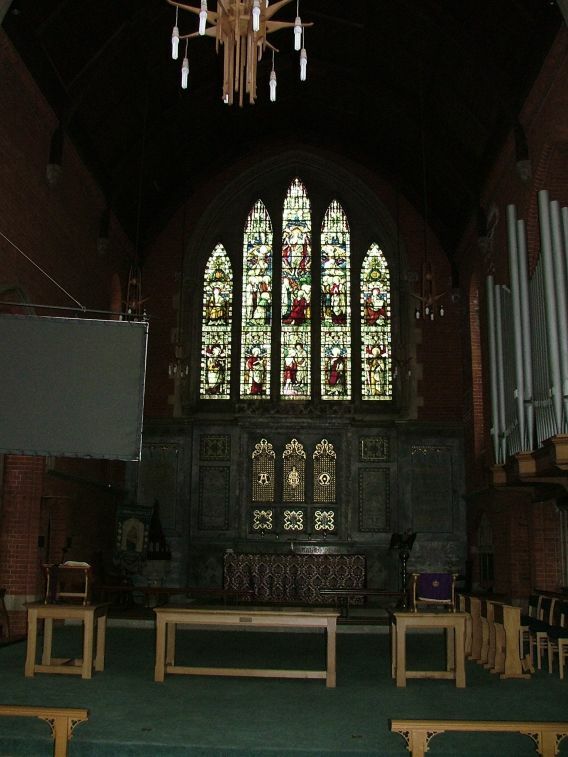 In the 1950s, the lighting and some furnishings were replaced here, including the organ case. 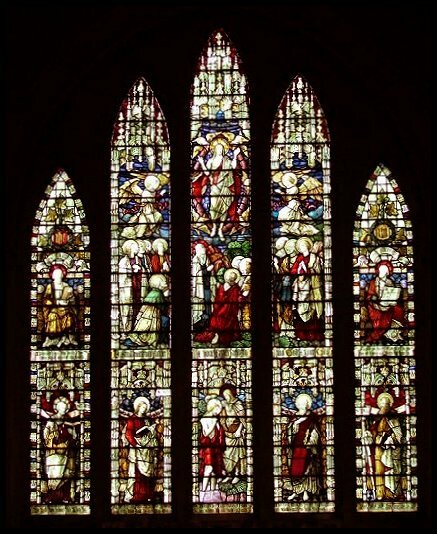 The work was carried out by George Pace, an architect who today is best known for designing Llandaff Cathedral. It is quite exciting to find his early presence here. 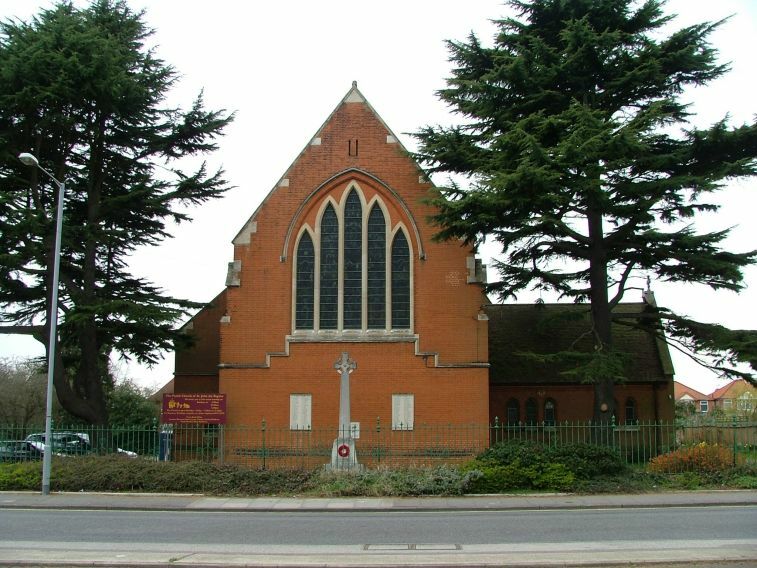 A decade later, he was responsible for the near-rebuilding of Rushmere St Andrew, the adjacent parish. About half a mile east of the church, along Freehold Road and at the corner of Bloomfield Street, stood the St John's children's home. This must have been the saddest place in the parish. It was actually the Ipswich Poor Law Union workhouse for pauper children. This was not an unusual kind of institution in more urban areas, but it was the only one of its kind in Suffolk, and as such seems to have been the place where poor orphans from all over the county ended up. Built in 1879, it had room for 130 children, and eventually closed in 1930. The site is now covered by sheltered housing. Also in the parish was one of the last workhouses ever built in England. Replacing the aging one at Whip Street in the centre of town, it was constructed in the late 1890s on heathland on the corner of Woodbridge Road and Heath Road. It became known as the Heathfields Poor Law Institution. Hospital blocks were added to it, and these soon became the greater part of its business. With the demise of the Poor Law system in 1930, it was reinvented as Ipswich Borough General Infirmary. Today, some of the buildings survive as the Heath Road wing of the Ipswich Hospital, whose mighty tower-blocks stand behind the former workhouse site.